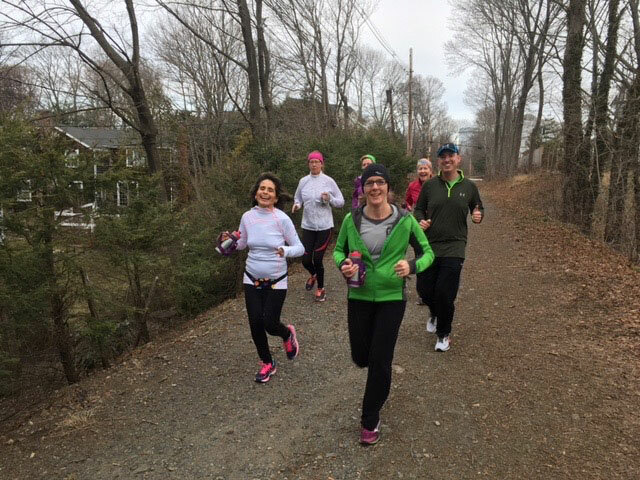 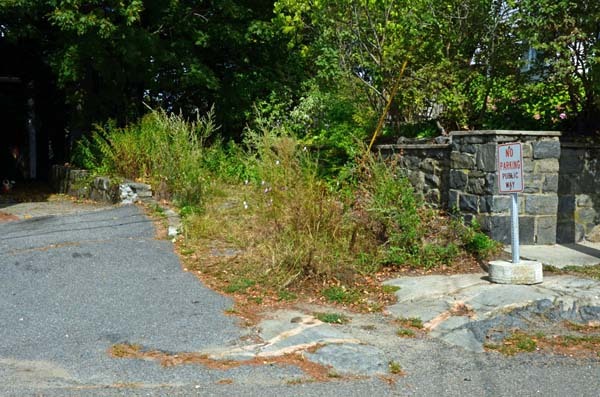 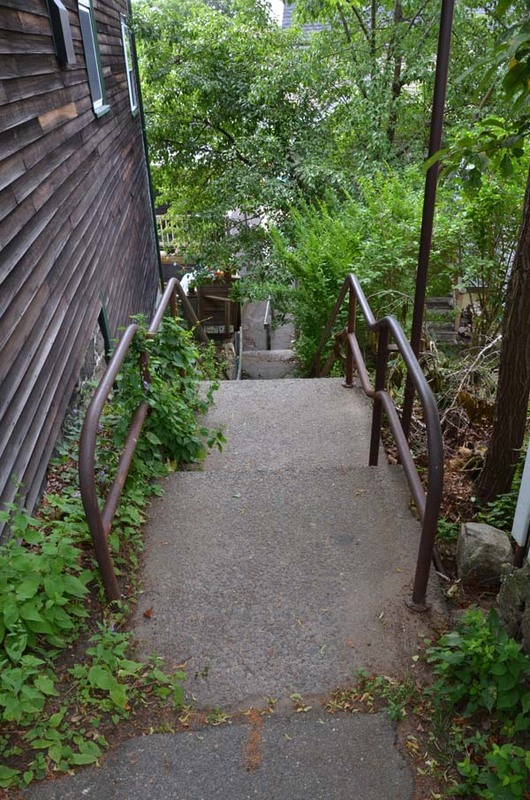 Alley Ways – Marblehead Conservancy Inc.
Across from #17 Elm Street, at the corner of Elm and Dunn’s Way, are seven stone steps leading to a small landing then four more steps. 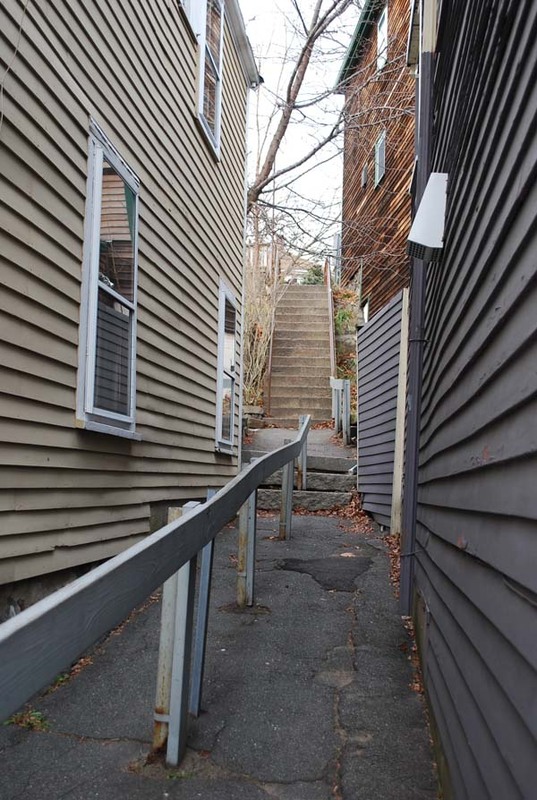 From there the alley becomes a partially-paved, mostly dirt path up a hill to High Street where one encounters a stone wall. 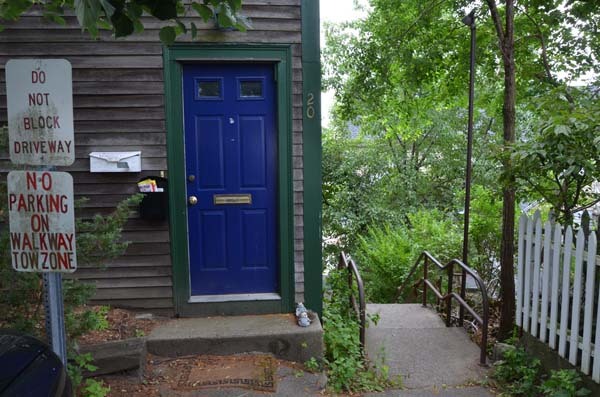 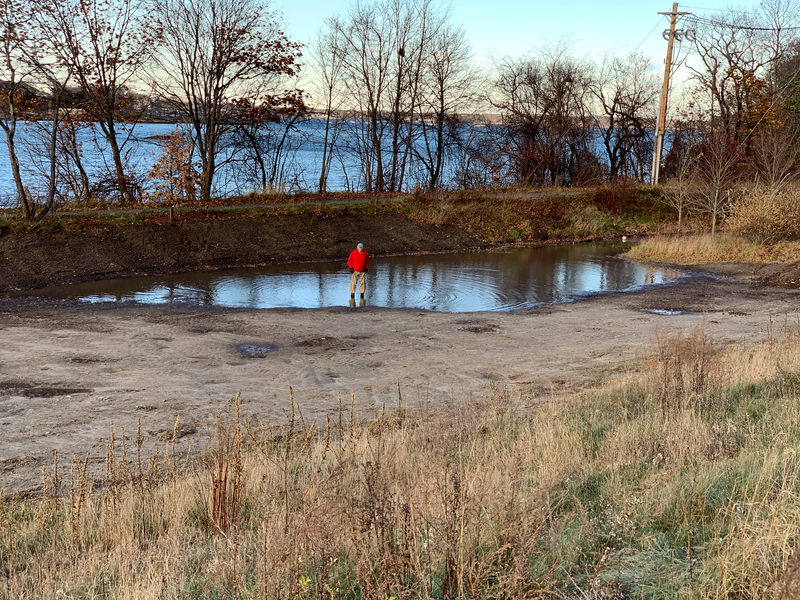 While appearing to be private property, with abutters storing boats on either side of the path and cars parked at the High Street entrance, it is nevertheless a public way. 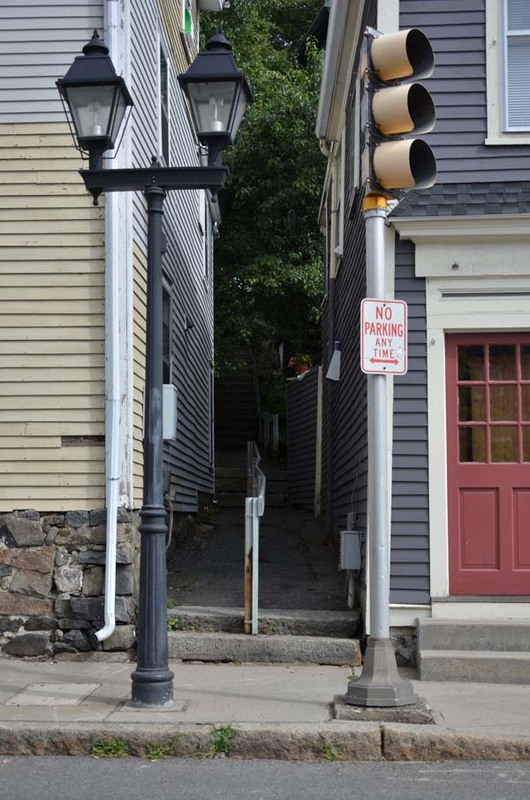 This public way near the Old Town House at #4 Mugford Street begins as a paved pathway divided by a wooden railing. 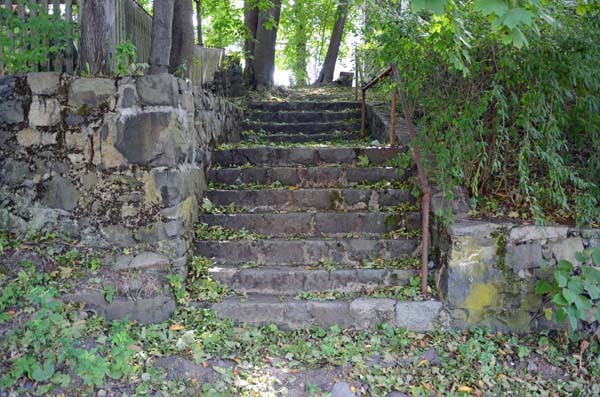 The alley leads uphill to stone steps with a rusted iron railing, exiting at the top near #22 Mechanic Street.